June’s election was the third strike for Westminster’s voting system. It’s out! 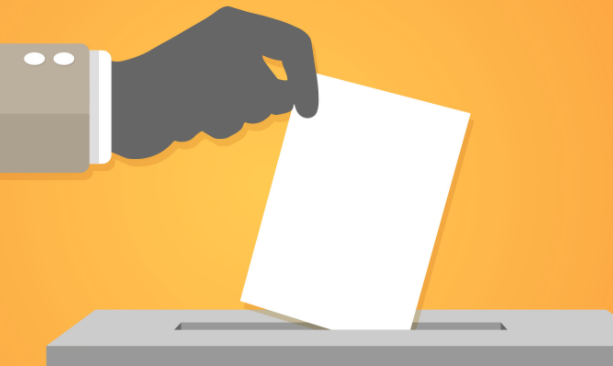 By Darren Hughes – Electoral Reform Society: The evidence is there for us all to see now: the 2017 General Election was the third strike for the First Past the Post voting system. From producing a hung Parliament in 2010 – something not meant to happen under Westminster’s winner-takes-all voting system – to handing the Conservatives a tiny majority in 2015, the way we elect our House of Commons is failing to do what it says on the tin. This June’s election outcome threw up yet more questions about the legitimacy of our voting system. Far from being ‘strong and stable’, First Past the Post is failing to deliver for the public, according to ‘The 2017 General Election: Volatile Voting, Random Results’. Six and a half million people. That’s the number estimated to have held their nose and opted for a lesser evil on June 5th. With one in five voters trying to second-guess each other, we are left with a ‘lottery election’ where casting a ballot is like casting a die. But not only have the last three elections either produced hung parliaments or results so disproportionate they demean the electoral process (the last GE was the most disproportionate in British history), 2017 saw the second highest ‘voter volatility’ since 1931. The highest? 2015. This is becoming the new normal. People are switching their party allegiances at astonishing rates – and our voting system is failing to keep up. And all this undermines the faith voters have that that seats in Parliament will reflect the votes they cast. This lottery approach to running elections means we have no idea what will happen or how votes will be reflected in our elected Commons. A close look reveals that in the nations and regions of the UK, the system is highly volatile. As in 2015, the first-placed party was different in every nation. For both the Conservatives and Labour in Scotland, their revivals are still not being reflected properly in seats. But these revivals come after difficult years – years where both parties were kept alive by proportional voting systems at Holyrood and for local elections. In Wales, Labour continue to be over-represented to the detriment of other parties, from the Conservatives to the Liberal Democrats. And in Northern Ireland, voters used to being able to vote for a wide range of parties ended up yet again forced into two party camps. This report gives pause for thought for all sides of politics. For the Conservatives, there is the dubious distinction of having put on substantially more votes but actually lost both seat share and with it their majority in the House of Commons. Indeed, the Conservatives have not been delivered a strong majority under FPTP for thirty years – one has to look back to the 1987 General Election for such a majority, despite strong vote shares in 1992 and this year. For Labour, it is the brutal reality that so many of their votes did not contribute in any way to the size of the Parliamentary Labour Party – indeed it is only Wales which is keeping Labour ‘fairly’ represented in Westminster. This is because, as we show, in seats Labour won, the MPs have a majority of tens of thousands when only a single ‘past the post’ vote is needed. And because in many safe Conservative seats, the Labour surge led to zero increase in representation. In the end, we have a system that only recognises the geographical location of a voter and nothing else. It is where voters are – rather than how many are backing whom – that matters. This must change if we are to restore legitimacy to our political institutions. But the real question for our politicians is this: if the two main parties can gain over 80% of the vote for the first time in decades, in a system designed for two parties, and yet both still lose – when will they show the leadership the country so desperately needs and fix our voting system? Doing so would send a message that far from being in it for themselves, parties can make brave and bold decisions to revitalise our democracy. If there’s anything this last few years have shown, it’s that people feel alienated from politics and are struggling to be heard. Let’s find positive ways of making that happen. Read ‘The 2017 General Election: Volatile Voting, Random Results’ here.